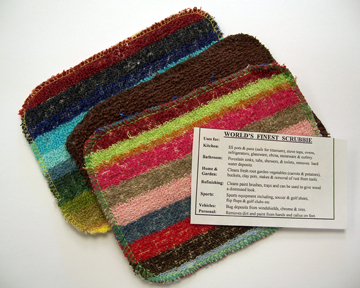 Top Selling Items: World Famous Scrubbie! Sold individually. We sell a pile of these! Handy for a variety of cleaning jobs. Comes with info slip with its uses. Available in a variety of colours. Made in Poland.